This shop has been compensated by Collective Bias, Inc. and its advertiser. All opinions are mine alone. #StimulateTheSenses #CollectiveBias It’s time to make some DIY Essential Oil Mosquito Repellent Spray! Summer is here. The days are longer and it’s so nice to sit outside in the evening, enjoying the last rays of the summer sun. But with the long days and warm temperatures also come the mosquitoes and that is not so much fun. 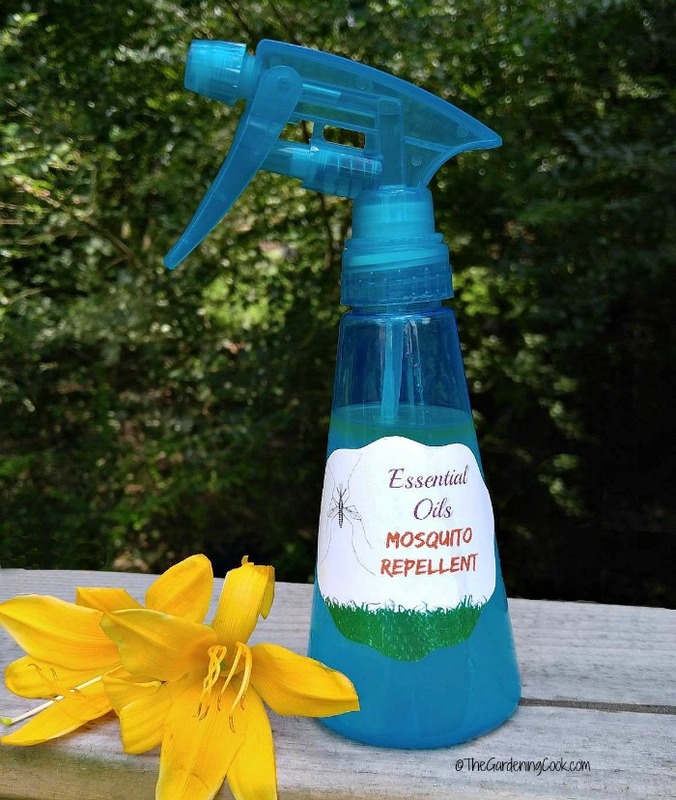 This DIY essential oil mosquito repellent spray has a lovely aroma, is made with common household ingredients and essential oils, and works well to repel the night time mosquitoes. 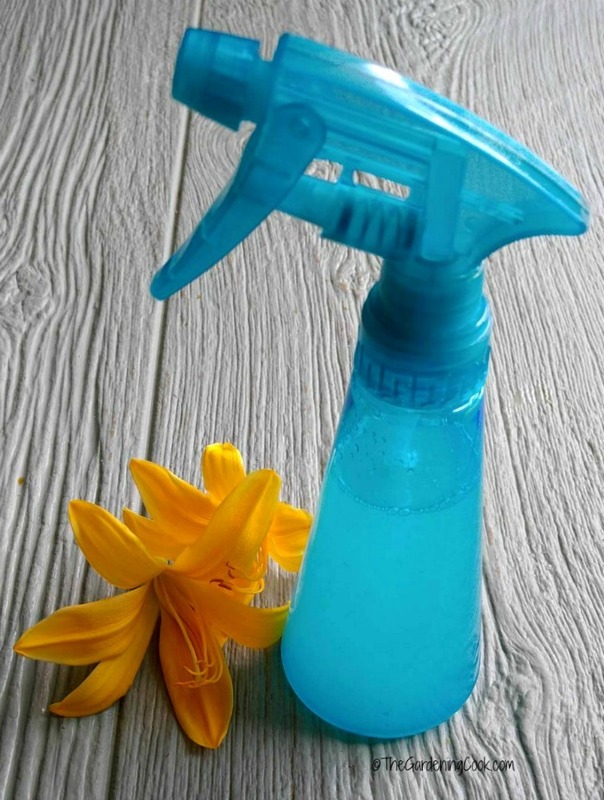 It’s back to Nature time with this home made DIY essential oil Mosquito Repellent Spray. I have long been a fan of essential oils. They can be used in so many creative ways in and around the home. I have seen them used in candles, air fresheners, as toilet roll fresheners, for aromatherapy uses, and for many home remedies. For today’s project, I decided to use three essential oils scents to make my DIY essential oil mosquito repellent spray – peppermint, eucalyptus and lemon oil. Ticks and fleas are not so problematic at my home, so I chose the oils that are known to repel mosquitoes. Not all combination of essential oils work uniformly for each variety of insect. 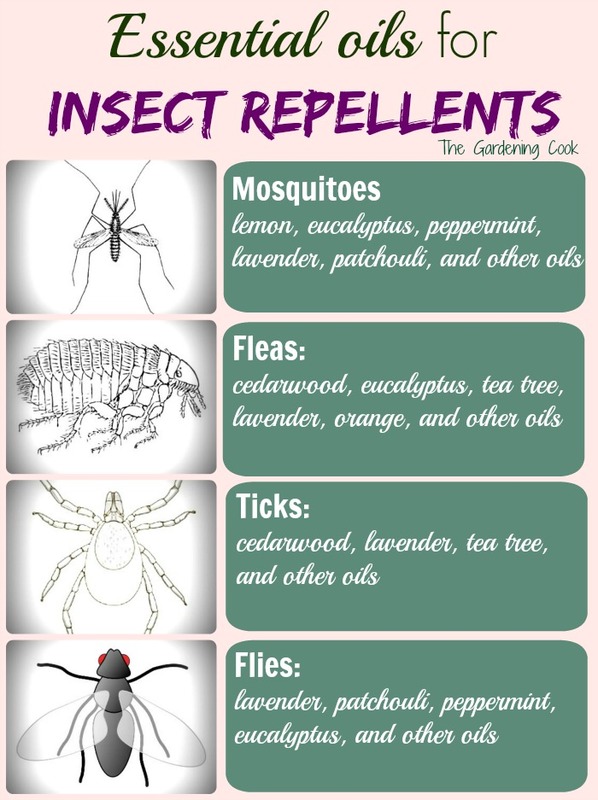 My research has shown me that the following essential oils work as repellents for these four types of common household insect pests. Some overlap and some are unique to one particular mosquito. 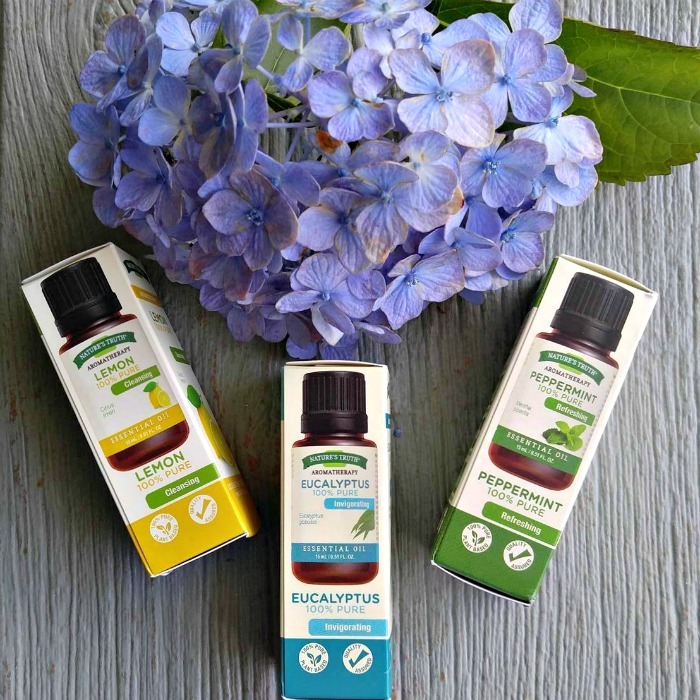 My choice for the essential oils in my mosquito repellent spray is Nature’s Truth®. They have premium essential oils that are the perfect choice for all your aromatherapy needs. This repellent spray is great for mosquitoes, but if you have more of a problem with fleas or ticks, then 20 drops of cedarwood oil would be a good addition to the mixture. In addition to essential oils having mosquito repelling properties, Mother Nature is a big helper too. See my list of mosquito repelling plants here. 1 small spray bottle that will deliver a fine mist. Since essential oils don’t mix well with water, start by adding them to the rubbing alcohol (apple cider vinegar, witch hazel or vodka can also be used.) 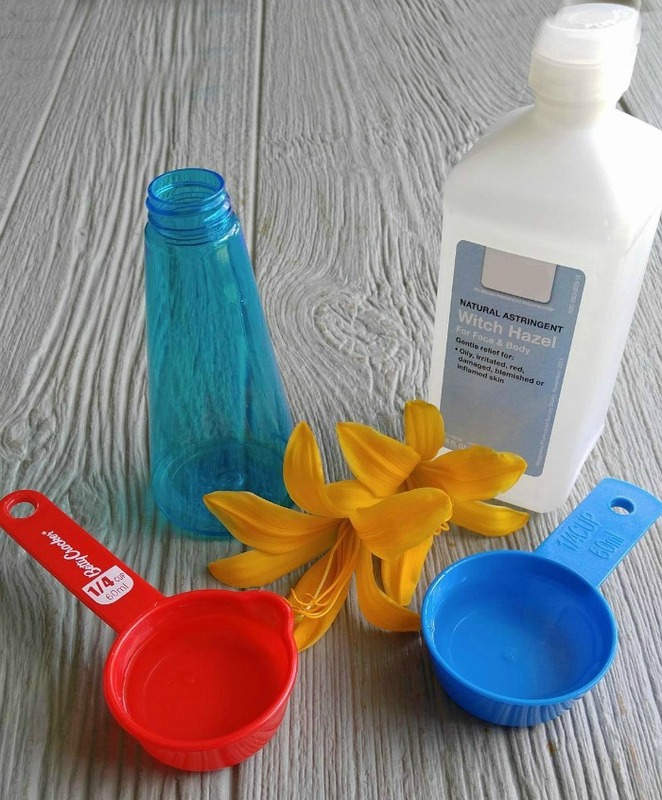 Place the rubbing alcohol in a small cup and then measure in the essential oils. Don’t skip this step, or your oils will just float on the top of the water when you add them to it. 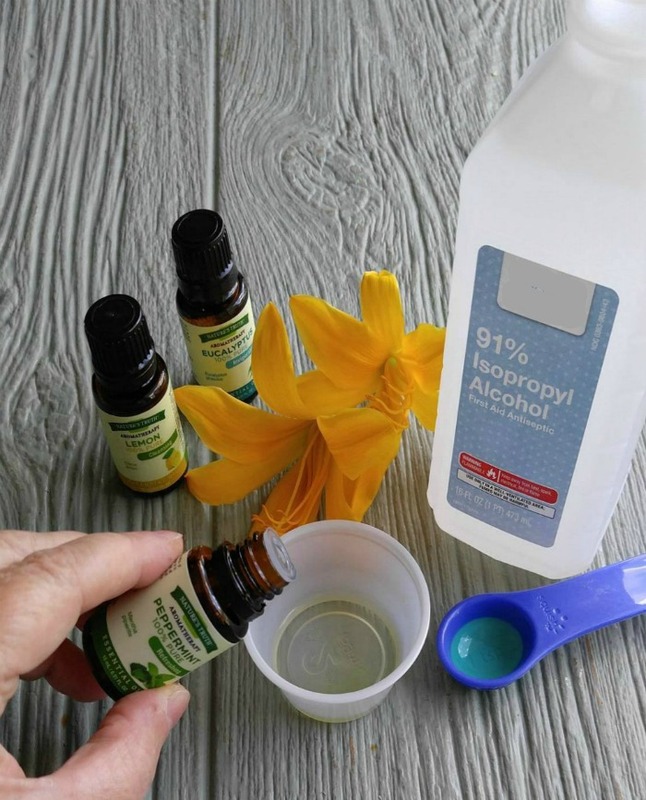 Once you have combined the oils and rubbing alcohol, add them to your spray bottle, pour in the water and witch hazel. I made a triple batch so I used a large bottle. This recipe makes about 6 ounces of mosquito spray. All that is left to do is shake the mixture a bit. What could be easier than that? Just spray the mixture directly on your exposed skin. For your hairline, just spray some in the palms of your hands and then rub them around your face and hairline. Repeat every few hours. Never use the essential oils neat (directly from the bottle) on the skin. They must be combined with a clarifying agent first. I love the smell of this mosquito repellent. It is quite light. With essential oils, the more drops you use, the more aroma the finished product will have. You can experiment a bit to see if more or less of each oil gives you a scent that you like better. 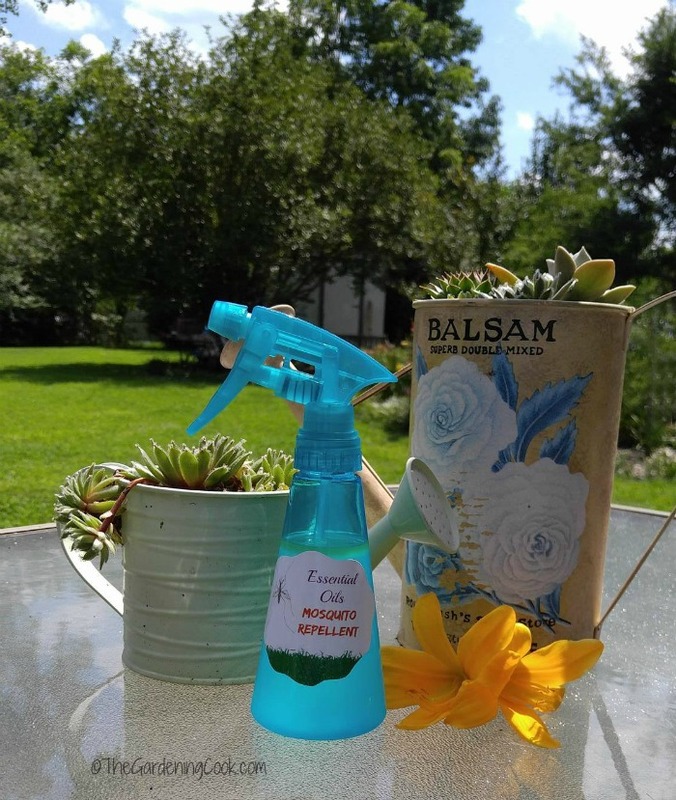 One of the nice things about this repellent is that the peppermint has a soothing and cooling scent, and that makes it great to use on humid and hot summer days. This mosquito repellent can be made for just pennies for each bottle. 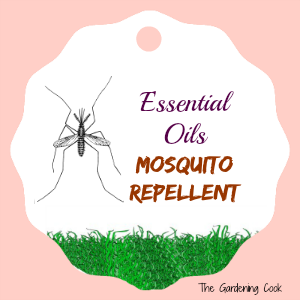 For a bit of a change, you can try some other essential oils that are known to repel mosquitoes – lavender and Patchouli are two that I have read about.. This free printable can be printed out on glossy photo paper and attached to your spray bottle with a glue stick to label the contents or punch a hole in the label with a hole punch, and hang it on the bottle with a piece of ribbon. It is a good idea to label the bottle so that you, and others, will know what is in it. If you would like to try this mosquito repellent for yourself, please visit your local Walgreens and head to the Vitamin aisle to get your Nature’s Truth Essential Oils. My Walgreens had a huge variety of the oils that I needed as well as, the rubbing alcohol and a nifty bottle to use as a sprayer. If you don’t have a Walgreens nearby, Target.com has a big range too. I got my Lemon oil online and the others at Walgreens. Looking for other ways to use the Nature’s Truth Essential Oils? Please visit this page for some ideas. I would love to know how this formula works for you. My home is surrounded by a lot of trees from my neighbor’s yard, but open in my yard, and around my patio. 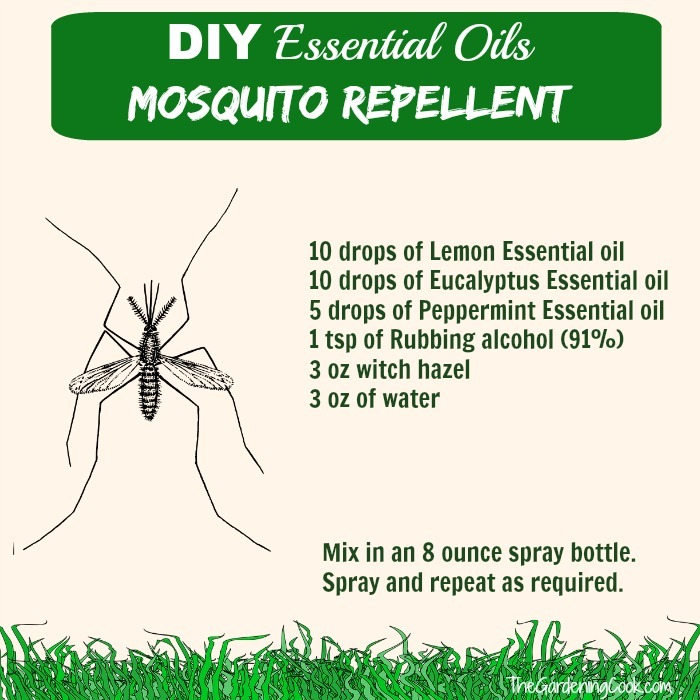 There is a fairly large pond a few houses down my street, so our area was a pretty good test of this essential oil mosquito repellent spray. It would be nice to know how it works for more wooded areas. 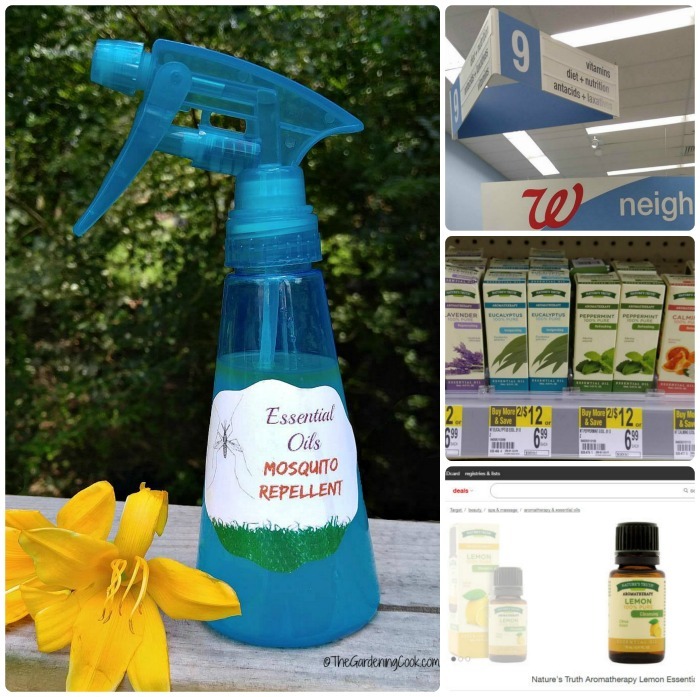 Since this essential oil mosquito repellent spray is so inexpensive to make (and the oils can be used in so many other ways) experiment a bit with it. One thing is for sure. 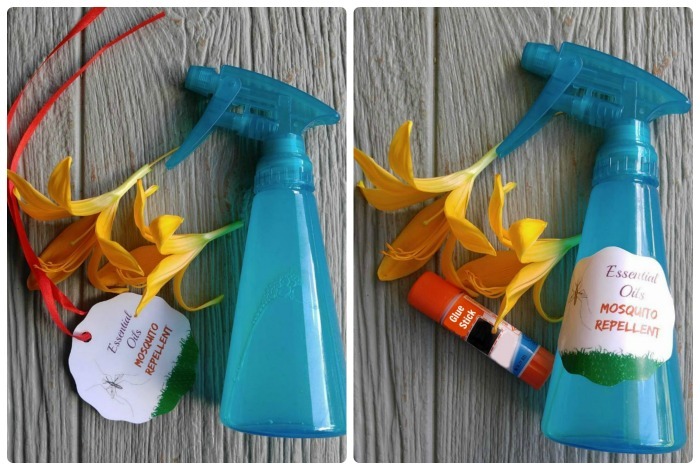 This mosquito repellent smells great, is easy to make, and works great too. What is not to like about that? Time to experiment now to make a mixture for the other pests in my yard!! Find Nature’s Truth on Pinterest and Facebook. For more DIY projects, please visit my Pinterest DIY Board. What do you suggest for the water in rain barrels? 1. Keep the rain barrel lid sealed to help keep bugs out. 2. Keep organic matter out of the barrel. 3. Regularly inspect the barrel for leaks and cracks. 4. Drain and clean the barrel at least once a year. 6. Consider using a larvicide product that will kill mosqwuitoes but not harm plants. How long after you mix does the spray maintain its effectiveness? 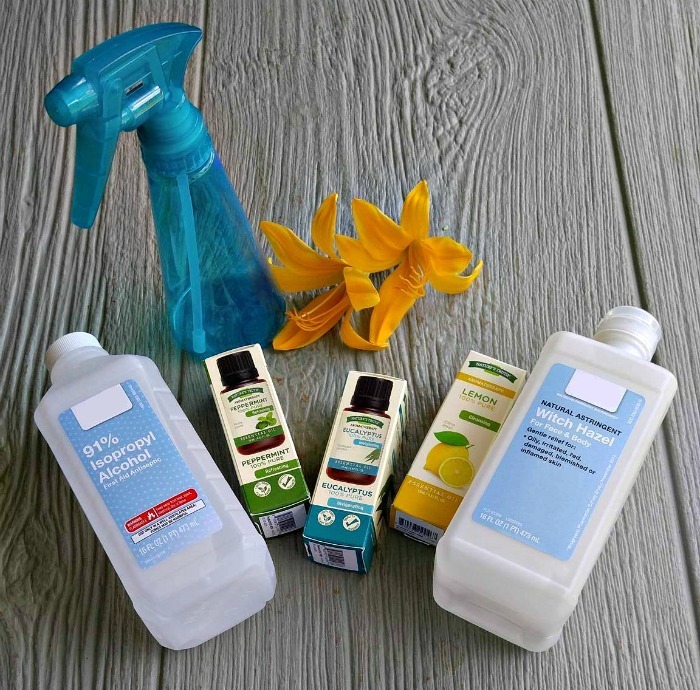 Can these sprays be used directly on pets especially for fleas and ticks?